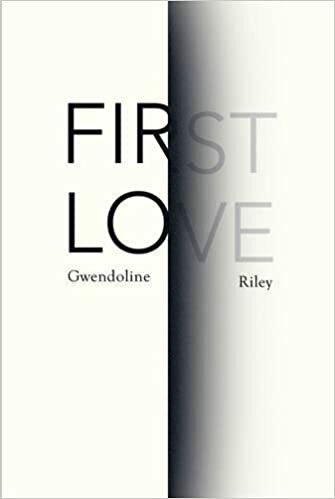 I’ve not read any of Gwendoline Riley’s previous four books and, really, only picked up her most recent one because it was shortlisted for the Baileys Women’s Prize for Fiction. It sounded so amazing that I couldn’t resist. I bought this one and The Power as soon as the list was up because I’ll do anything a bunch of literary prize judges tell me to. I’ve been in a bit of reading slump lately so as soon as I finished The Best of Adam Sharp I decided to try and to read Riley’s novel. It’s pretty short and something I’ve been keen to read. Thankfully, this weekend I was in London visiting a friend so I had a train journey to fill with reading. I managed to finish it by the second day. My friend works in publishing so is as obsessed (if not more) with books as I am. So she’s always interested to hear what I’m reading. The trouble with First Love is that I find it so hard to explain what’s going on. I managed to garble out a nonsensical plot summary that really didn’t do the book justice so, when I’d finished it, I decided it was worth another go. Therefore, my Tuesday review this week is either going to be great or just a terrible mistake. We’ll see. First Love is at it’s simplest a character study. It tells the story of a 30-something female writer, Neve, and her marriage to her older husband, Edwyn. At times the marriage is full of the typically nauseating couple-isms like pet names and affectionate cuddles. However, there is a deep tension waiting just below the surface threatening to bubble over at any second. For every time Edwyn calls Neve “Mrs Pusskins” there will be a cavalcade of insults where she is described as a “fishwife shrew”. It is an uncomfortable marriage that comes out of Neve’s desire to love and need to feel loved. She has spent her life trying to fake independence but is always looking for that relationship to make her feel complete. The steps in her life had lead her to Edwyn who, for all intents and purposes, hates women. Neve knows the relationship is toxic and the novel is her attempt at self-reflection. However, like in real life cases, this self-reflection never quite runs deep enough to self-realisation and an ultimate call to change something. Instead, the novel spends its time weaving in and out of Neve’s past and present relationships. Her marriage to Edwyn is interspersed with tales of her abusive father and the American musician who would never commit. Her father, who’s death still haunts Neve, found comfort in simultaneously showering his daughter with affection and contempt following her mother’s decision to leave her violent marriage years earlier. Whatever control he delights in taking over the women in his life, Neve’s father has no self control, as evidenced by his death: the man ate himself into an early grave. It is a relationship that has shaped Neve’s adult life and is still holding court over her marriage to Edwyn. It is not exactly difficult to see that her relationship with her husband and her father are linked; it’s something that Edwyn himself is all to keen to remind her of whenever he feels the need. First Love isn’t the happily-ever-after tale of a young woman who finally finds happiness. Little is written of her first meeting with Edwyn and the growth of their affection for each other. The first snippet we see is her moving her boxes into his pokey flat so it is difficult to understand why she puts up with chaos. This is a narrative that just keeps getting worse and more uncomfortable as it moves on. However, as it descends deeper into a realm of despair most people would be unable to imagine, the novel also gets even more brilliant and engrossing. There is some light to be found, thankfully, and it mostly comes courtesy of Neve’s self-absorbed mother. There are some fantastic moments in the book where her stream of consciousness monologues take over everything. She’s a fantastic character who, since leaving her abusive husband, has failed to find either herself or a man worthy of her affection. She ties herself to men who don’t have a strong interest in her but she forces her way into their lives one way or another. She lives the kind of happy and solitary existence that is, surely, only served with a side of chronic depression. Whilst the moments the mother and daughter spend together cannot be described as positive, there is something about their sheer absurdity that brings a certain relief to the, otherwise, relentless dim existence of our narrator. Having not read any of her previous work I’m no expert on her style but if First Love is anything to go by then I’d be a huge fan. It is a bleak work, that cannot be denied, but there Riley is able to pick the perfect words to make everything seem poetic and beautiful in its own right. The prose is, frankly, gorgeous and some of the best writing I’ve read in a really long time. You can’t escape the idea that words have been carefully picked so as to get the exact response that Riley had wanted. There is an effortlessness within the writing that only comes with great care, attention and skill. What is the quote from that Lawrence Ferlinghetti poem? The oxymoronic phrase “so casually coifed”. Riley’s writing can only be described as “so casually coifed” and it’s fantastic. I may only have picked this up because of the Women’s Prize but I’ll never regret having done it.